We’re continuing to beta test builds with the streamlined process for syncing changes made on the Ancestry side, and that looks to be coming along nicely. When completed it will allow us to remove all limits from adding FTM 2017 users to the system. We expect to provide a new build to our test drivers in a week or so, and assuming success there, roll it out to the rest of the world shortly after. We reached out to all who had pre-purchased FTM 2017 with an invitation to take a test drive – 48 hours to try out the new edition under controlled conditions. Nearly all test drivers elect to continue using it rather than rolling back at the end of the two day test period. We’ve now processed all the new applications received this week and have accepted more than 80% to test drive immediately. If you want to read the full message, and keep an eye on the release schedule, check MacKiev’s Release of FTM 2017 page every few days, or check back here. 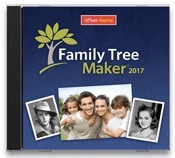 I have still had no problems with synchronizing my family trees with Ancestry.com, but mine are very small these days (a few hundred people) as I’m working through a “genealogy do-over”.